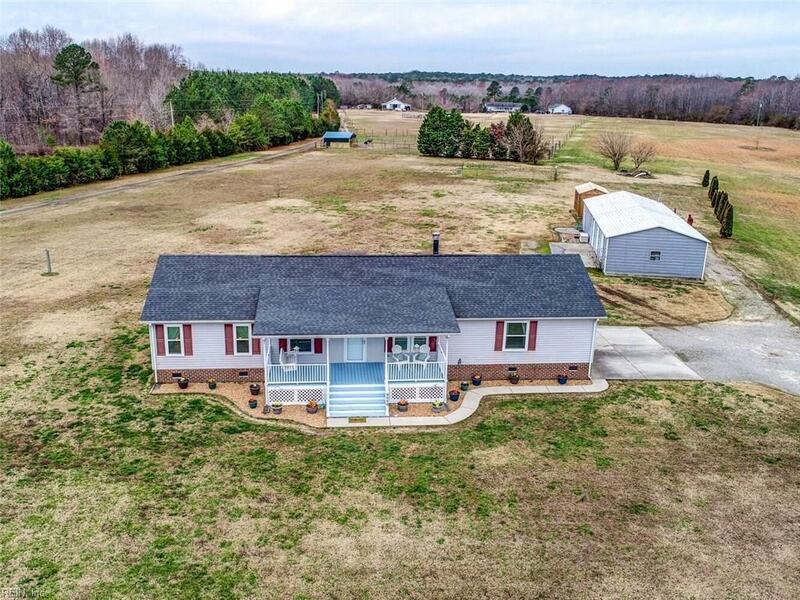 9096 Doles Rd, Southampton County, VA 23866 (#10242088) :: Abbitt Realty Co. LOCATION just minutes to 460, LARGE 3 bays 60x30 garage, LOVELY move-in ready home all on 1 and half acres. 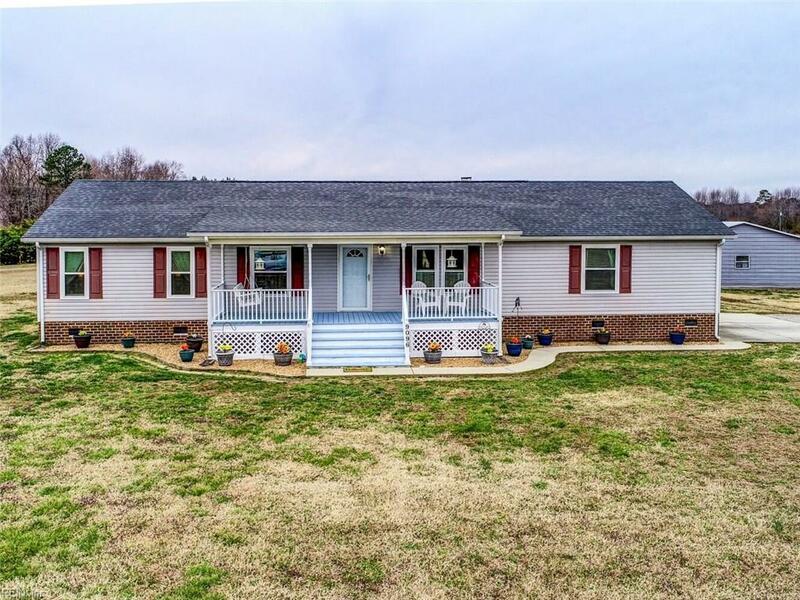 Enjoy peaceful country living in this spacious open floor plan home. Lots of Chic white cabinets with Corian countertops and stainless-steel appliances which opens into the Great room with a crackling fireplace for great entertaining. Eating areas include a breakfast bar in the kitchen and a full-sized dining room. 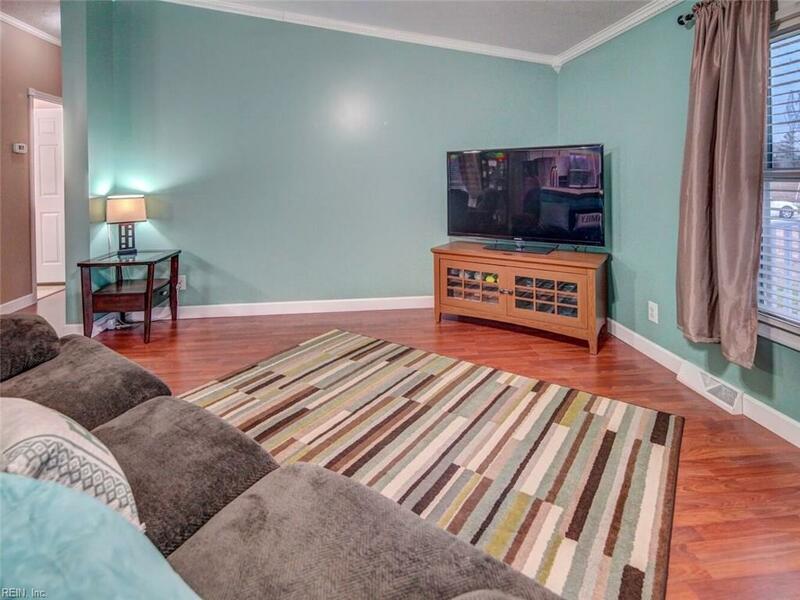 Large master suite with generous size, walk-in closet. Master bathroom with soaking tub for a relaxing bubble bath. 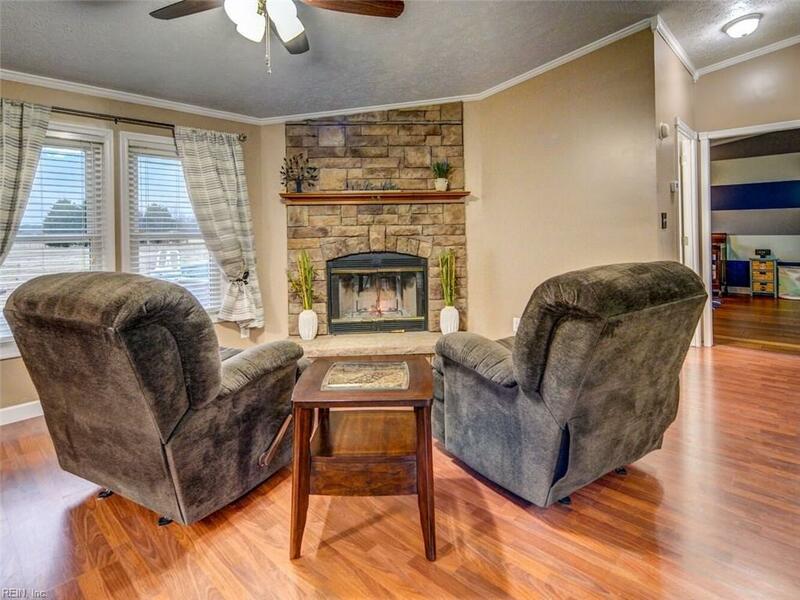 Enjoy the evening breeze on your front porch swing or on the deck and patio by the pool. Over size garage and workshop includes an oversize TV, 220 power and a refrigerator for your cold bubbly drinks. All windows are brand new with sun filters and a lifetime guarantee.